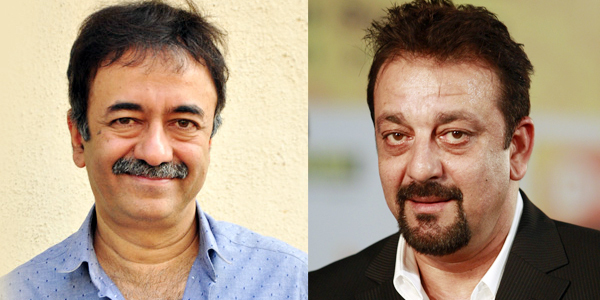 It is known fact that Rajkumar Hirani has been working on the script of Sanjay Dutt’s biopic for a while now. However, although the filmmaker, along with co-writer Abhijat Joshi, is almost ready with the final draft of the script, some of the most crucial parts of the movie will be written when the actor is released from jail by the end of this month. Quoted our source, "Rajkumar Hirani doesn’t want to take any chances. That’s why, although he has nearly finished work on the final draft of the script, he will work on some of the most crucial parts of the story after Sanjay finishes his sentence." In fact, the 53-year-old filmmaker is looking forward to an extensive session with Sanjay, either towards the end of February or in March. "I have finished a few drafts of the script, which I even bounced off Sanjay, when he was out (on parole). I took all his inputs into consideration, as to where we were going right or wrong," stated Hirani. The filmmaker, who has worked with the actor on the successful 'Munna Bhai' series, admits that he finds Sanjay’s life very interesting and fascinating. "It's an unbelievable story. We aren’t going to glorify anything about Sanjay, but we will tell a fantastic story. Script-wise, this film requires less work, so I should be able to make it faster," added Hirani.